At its operations center in Cheyenne Mountain, Colorado, the North American Aerospace Defense Command (NORAD) practices dealing with hijackings five times per month, on average, during training exercises. A NORAD document produced a month after 9/11 will state that the Cheyenne Mountain Operations Center (CMOC) “routinely conducts the Amazon Arizona series of internal exercises that include hijack scenarios.” Prior to September 11, 2001, the document continues, “CMOC averaged five hijack training events each month.” Further details of these “Amazon Arizona” exercises are unstated in the document. [North American Aerospace Defense Command, 10/13/2001] But other sources provide additional information about what they might entail. Jordan requests the extradition from Britain of Abu Qatada, a cleric who sits on al-Qaeda’s fatwa committee (see June 1996-1997) and who is wanted in connection with a series of car bombings in Jordan. 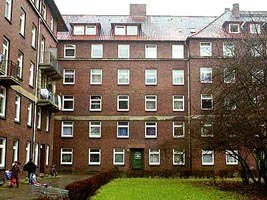 However, Britain, where Abu Qatada lives, declines the request and grants him asylum. 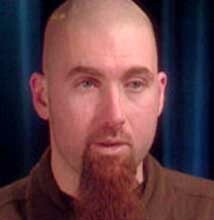 Authors Sean O’Niell and Daniel McGrory will comment: “Britain had given shelter to one of the fiercest advocates of the global jihad. Abu Qatada lived and breathed the al-Qaeda ideology, issued religious decrees… allowing Algerian terrorists to commit mass murder in the name of God, and raised hundreds of thousands of pounds for Islamists to carry on the war against Russia in Chechnya.” [O'Neill and McGrory, 2006, pp. 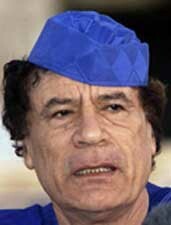 29] Abu Qatada is working as an informant with Britain’s security services at this time (see June 1996-February 1997). In 2004, it will be reported, “A former very senior CIA counterintelligence official told UPI that in 1998-99, the CIA discovered an Israeli couple, who were subcontracted to a US phone company, were working for Mossad, the Israeli intelligence service. ‘They did incredible damage—they got incredibly sensitive data, including key words identifying individuals or projects,’” this source said, adding he himself gave the case to the FBI. Additional details are not known. [United Press International, 12/9/2004] In 2005, a US criminal indictment will reveal that the FBI began monitoring some Israeli diplomatic officials in the US by April 1999 (see April 13, 1999-2004), but is it not known if there is any connection between that and this case. By 1997, al-Qaeda leader Abu Zubaida is living in Peshawar, Pakistan, near the border to Afghanistan. He runs an al-Qaeda guest house there called the House of Martyrs, where all foreign recruits are interviewed before being sent to Afghanistan. As a result, Zubaida soon knows the names of thousands of al-Qaeda recruits. [Rashid, 2008, pp. 224-225] In 2006, author Gerald Posner will write that beginning in 1998, Pakistan receives several requests from US intelligence to track down Zubaida. Beginning by October 1998, the US and other countries have been monitoring Zubaida’s phone calls (see October 1998 and After), and will continue to do so through the 9/11 attacks (see Early September 2001 and October 8, 2001). But according to Posner, “Pakistan’s agency, the ISI, had claimed to have made several failed attempts, but few in the US believe they did more before September 11 than file away the request and possibly at times even warn Zubaida of the Americans’ interest.” [Posner, 2003, pp. 184] In 2008, Pakistani journalist and regional expert Ahmed Rashid will repeat the gist of Posner’s allegations, and further explain that Zubaida directly worked with the ISI. Some of the militants he directs to al-Qaeda camps are militants sent by the ISI to fight in Kashmir, a region disputed between India and Pakistan. Presumably, handing Zubaida to the US could hinder Pakistan’s covert war against India in Kashmir. [Rashid, 2008, pp. 224-225] After Zubaida is arrested in 2002, he allegedly will divulge that he has personal contacts with high-ranking officials in Pakistan and Saudi Arabia (see Early April 2002). In 1998, Saif al-Islam al-Masri, a member of al-Qaeda’s ruling military council, is appointed Benevolence International Foundation’s (BIF) officer in Grozny, Chechnya. BIF is a US-based charity with numerous ties to al-Qaeda that is being investigated by the FBI at this time (see 1998). It will be shut down in late 2001 (see December 14, 2001). From 1995 to 2001, BIF provides money, anti-mine boots, camouflage military uniforms, and other supplies to the Chechen rebels who are fighting the Russian army. BIF is particularly close to Ibn Khattab, the Chechen warlord linked to Osama bin Laden, and BIF is even mentioned on Khattab’s website at the time, as a charity to use to give to the Chechen cause. The BIF office in Baku, Azerbaijan, which serves as support to nearby Chechnya, is manned by a member of a militant group led by Gulbuddin Hekmatyar, the Afghan warlord closely linked to al-Qaeda. In 1999, Enaam Arnaout, head of BIF’s US office, tours Chechnya and reports on the roles al-Islam, Khattab, and others are playing there. 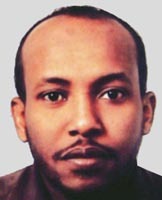 US intelligence is aware of al-Islam’s al-Qaeda role at this time, and recovered his passport photo in a raid on the house of al-Qaeda leader Wadih El-Hage in Kenya in 1997 (see August 21, 1997). 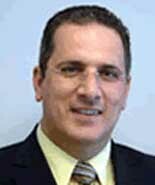 [USA v. Enaam M. Arnaout, 10/6/2003 ] El-Hage was monitored talking on the phone to al-Islam in 1996 and 1997. 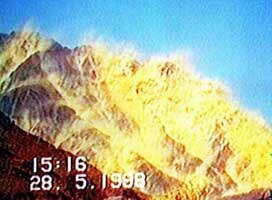 [United States of America v. Usama Bin Laden, et al., Day 37, 5/1/2001] However, either US intelligence failed to notice al-Islam’s link to BIF at the time, or failed to do anything about it. It is not known when he stops working for BIF. He will not be captured until 2002, when US forces help catch him just outside of Chechnya (see Early October 2002). Robert Baer. [Source: Publicity photo]In December 1997, former CIA agent Robert Baer, newly retired from the CIA and working as a terrorism consultant, meets Hamad bin Jassim bin Hamad al Thani, who was Qatar’s minister of the economy and chief of police until he was deposed and exiled the year before, and whom he calls the “black prince.” Al Thani tells Baer that Khalid Shaikh Mohammed (KSM) was being sheltered by then Qatari Interior Minister Abdallah bin Khalid al-Thani in 1996 (see January-May 1996). However, the black prince knows other details, based on what Qatari police and intelligence learned when KSM was in the country. 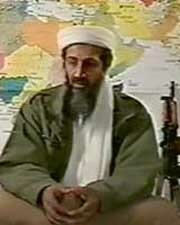 He says that KSM is chief of al-Qaeda’s terrorist operations (see Early 1998). KSM was leading an al-Qaeda cell in Qatar together with Mohammed Shawqui Islambouli, the brother of the Egyptian who had killed Anwar Sadat. They also were linked to bomber Ramzi Yousef. But what worries the black prince is that KSM and Islambouli are experts in hijacking commercial planes. He tells Baer that KSM “is going to hijack some planes.” Further, he says that KSM has moved to the Czech Republic, and has also traveled to Germany to meet bin Laden associates there. In early 1998 Baer sends this information to a friend in the CIA Counterterrorist Center, who forwards the information to his superiors. Baer doesn’t hear back from the CIA. He says, “There was no interest.” [Baer, 2002, pp. 270-71; Vanity Fair, 2/2002; United Press International, 9/30/2002; Baer, 2003, pp. 190-198] Later in 1998, President Clinton will be briefed about a hijacking threat in the US involving Islambouli, but it is unclear if Islambouli was actually involved in the 9/11 plot or any other hijacking plots targeting the US (see December 4, 1998). He will not have been captured by March 2008. Baer tries to interest reporter Daniel Pearl in a story about KSM before 9/11, but Pearl will still be working on it when he is kidnapped and later murdered in early 2002. [United Press International, 4/9/2004] Baer also tries to interest New York Times reporter James Risen in the information about KSM. But just before Risen can come to the Middle East to meet the black prince, the black prince is kidnapped in Lebanon and sent to prison in Qatar. There will be speculation that the CIA turned on the source to protect its relationship with the Qatari government. Risen will publish an article in July 1999 about KSM, but it will not include most of the information from the black prince, since Risen will not be able to confirm it. [New York Times, 7/8/1999; BBC, 7/25/1999; Gertz, 2002, pp. 55-58; Baer, 2003, pp. 190-198] Al-Thani will continue to support al-Qaeda, even hosting visits by bin Laden between 1996 and 2000 (see 1996-2000). [ABC News, 2/7/2003] Yet the US will not have frozen al-Thani’s assets or taken other action by March 2008. The CIA apparently ignores a warning from a recently retired CIA agent that Khalid Shaikh Mohammed (KSM) is heading al-Qaeda’s terrorist operations. 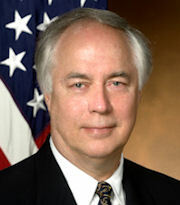 Robert Baer left the CIA in late 1997 and began private consulting in the Middle East. Baer soon meets Hamad bin Jassim bin Hamad al Thani, who was Qatar’s minister of the economy and chief of police until he was deposed and exiled the year before. Al Thani tells Baer that KSM is now bin Laden’s chief of terrorist operations, and gives Baer other details about KSM, including how some Qatari royals helped KSM escape Qatar the year before after the CIA tracked him there (see January-May 1996 and Early 1998). In early 1998, Baer passes all this information on to a friend still in the CIA, who then passes it on to the CIA’s Counterterrorist Center. But the friend writes back a week later, saying the CIA showed no interest. [Baer, 2003, pp. 190-198] The 9/11 Commission, by contrast, will later claim that, in 1997 and 1998, KSM has some links with al-Qaeda, but mostly helps them collect newspaper articles and update computer equipment. Supposedly, not until after the August 1998 embassy bombings does he begin working directly with al-Qaeda on plotting attacks. This account appears entirely based on KSM’s testimony taken while in US custody. [9/11 Commission, 7/24/2004, pp. 149-150] It will later be reported that up to 90 percent of KSM’s testimony could be inaccurate, mostly due to the use of torture (see Late August 1998). Further, the CIA gained evidence shortly after the embassy bombings that KSM was one of the masterminds of those bombings, which would strongly support Baer’s information over the 9/11 Commission version (see August 6, 2007). In January 1998, the FBI and a New York US Attorney begins preparing charges against him for murdering US citizens in Somalia in 1993 (see October 3-4, 1993), Saudi Arabia in 1995 (see November 13, 1995), and other attacks. A grand jury will approve a secret and sealed indictment charging him with involvement in these attacks in June 1998 (see June 8, 1998). [New York Times, 9/6/1998; Miniter, 2003, pp. 168-169] It is not known why an indictment was not prepared earlier. The indictment is based on information from al-Qaeda informant Jamal al-Fadl, who defected to the US in mid-1996 (see June 1996-April 1997). 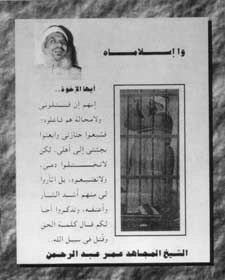 Ali Mohamed, the al-Qaeda double agent living in California, receives a letter from Ihab Ali Nawawi (an apparent al-Qaeda sleeper cell operative living in Orlando, Florida, at the time (see September 1999)). 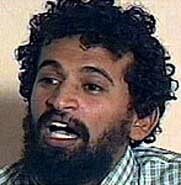 Nawawi tells Mohamed that Wadih El-Hage, a key member of the al-Qaeda cell in Kenya, has been interviewed by the FBI (see August 21, 1997). Mohamed is given a new contact number for El-Hage. Mohamed calls El-Hage and speaks to him about this, then calls other operatives who pass on the warning of the FBI’s interest in El-Hage to bin Laden. US intelligence is monitoring Mohamed’s phone calls at this time, so presumably they are aware of these connections. [New York Times, 10/24/2000; Raleigh News and Observer, 10/21/2001; Chicago Tribune, 12/11/2001] Yet, despite all of these monitored communications, neither Mohamed, nor Nawawi, nor El-Hage, are apprehended at this time, even though all three are living in the US. Their plot to blow up two US embassies in Africa succeeds in August 1998 (see 10:35-10:39 a.m., August 7, 1998). Luc Besson. [Source: Publicity photo]Hollywood film studio 20th Century Fox works on producing WW3.com, a movie about cyber-terrorists declaring war on the United States, which will include a 9/11-like scene where a Boeing 767 crashes into New York’s Central Park. [Variety, 1/26/1998; Fox News, 6/3/2002] The storyline of WW3.com is rooted in a 1997 article in Wired magazine, which described the potential for the US becoming engaged in a cataclysmic and nation-crippling “information war.” [Wired, 5/1997; Variety, 8/24/2000; New York Times, 6/27/2007] 20th Century Fox acquires the rights to this article in January 1998, as source material for the movie. Screenwriter David Marconi, who previously wrote the action movie Enemy of the State, works on the script. Richard Clarke, the chair of the White House’s Counterterrorism Security Group, updates the US Continuity of Government (COG) program. National Security Adviser Sandy Berger has become aware that terrorism and domestic preparedness are now major issues. He suggests the idea of a “national coordinator” for counterterrorism, and that this post should be codified by a new Presidential Decision Directive (PDD). Clarke therefore drafts three new directives. The third, tentatively titled “PDD-Z,” updates the COG program. [Clarke, 2004, pp. 166-167] This program, which dates back to the cold war, was originally designed to ensure the US government would continue to function in the event of a nuclear war with the Soviet Union. [Atlantic Monthly, 3/2004] Clarke will later say it “had been allowed to fall apart when the threat of a Soviet nuclear attack had gone away.” [Clarke, 2004, pp. 167] He will explain: “We thought that individual buildings in Washington, and indeed perhaps all of Washington, could still come under attack, only it might not be from the former Soviet Union.… It might be with a terrorist walking a weapon into our city.” [CBS, 9/11/2001] Therefore, “If terrorists could attack Washington, particularly with weapons of mass destruction, we needed to have a robust system of command and control, with plans to devolve authority and capabilities to officials outside Washington.” [Clarke, 2004, pp. 167] President Clinton will sign “PDD-Z” on October 21, 1998, as PDD-67, “Enduring Constitutional Government and Continuity of Government Operations” (see October 21, 1998). The two other directives drafted by Clarke will become PDD-62 (see May 22, 1998) and PDD-63. [Clarke, 2004, pp. 170; Washington Post, 6/4/2006] By February 1999, according to the New York Times, Clarke will have written at least four classified presidential directives on terrorism, which “expand the government’s counterterrorism cadres into the $11 billion-a-year enterprise he now coordinates.” [New York Times, 2/1/1999] Clarke is a regular participant in secret COG exercises (see (1984-2004)), and will activate the COG plan for the first time on the day of 9/11 (see (Between 9:45 a.m. and 9:56 a.m.) September 11, 2001). Essam Marzouk, an explosives expert and training camp instructor, goes to Kosovo to support the Muslim cause there. He is there at some time between March and August 1998, though how long he stays exactly is unknown. During this same time, he also goes to Afghanistan and trains the men who will bomb two US embassies in Africa in August (see June 16, 1993-February 1998). He is closely linked to both al-Qaeda and Islamic Jihad. [Globe and Mail, 11/15/2001; Globe and Mail, 9/7/2002] He will be arrested in Azerbaijan in late August 1998 (see Late August 1998). It has not been reported who he met in Kosovo or what he did there exactly. 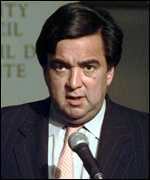 When Saudi authorities foil a plot by al-Qaeda manager Abd al-Rahim al-Nashiri to smuggle missiles into the kingdom (see 1997), CIA director George Tenet becomes so concerned they are withholding information about the plot from the US that he flies to Saudi Arabia to meet Interior Minister Prince Nayef. Tenet is concerned because he believes that the four antitank missiles smuggled in from Yemen by al-Nashiri, head of al-Qaeda operations in the Arabian peninsula, may be intended for an assassination attempt on Vice President Albert Gore, who is to visit Saudi Arabia shortly. Tenet and another CIA manager are unhappy about the information being withheld and Tenet flies to Riyadh “to underscore the importance of sharing such information.” Tenet obtains “a comprehensive report on the entire Sagger missile episode” from Interior Minister Prince Nayef by making a not-so-veiled threat about negative publicity for Saudi Arabia in the US press. [Tenet, 2007, pp. 105-6] It will later be reported that the militants’ plan is apparently to use the armor-piercing missiles to attack the armored limousines of members of the Saudi royal family. [New York Times, 12/23/2002] There are no reports of the planned attack being carried out, so it appears to fail due to the confiscation of the missiles. However, al-Nashiri will later be identified as a facilitator of the East African embassy bombings (see August 22-25 1998) and will attend a summit of al-Qaeda operatives in Kuala Lumpur, Malaysia, which is monitored by local authorities and the CIA (see January 5-8, 2000). An FBI pilot sends his supervisor in the Oklahoma City FBI office a memo warning that he has observed “large numbers of Middle Eastern males receiving flight training at Oklahoma airports in recent months.” The memo, titled “Weapons of Mass Destruction,” further states this “may be related to planned terrorist activity” and “light planes would be an ideal means of spreading chemicals or biological agents.” The memo does not call for an investigation, and none occurs. [NewsOK (Oklahoma City), 5/29/2002; US Congress, 7/24/2003] The memo is “sent to the bureau’s Weapons of Mass Destruction unit and forgotten.” [New York Daily News, 9/25/2002] In 1999, it will be learned that an al-Qaeda agent has studied flight training in Norman, Oklahoma (see May 18, 1999). 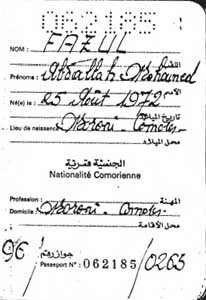 Hijackers Mohamed Atta and Marwan Alshehhi will briefly visit the same school in 2000; Zacarias Moussaoui will train at the school in 2001 (see February 23-June 2001). President Clinton issues Presidential Decision Directive 62 (PDD-62), which gives the National Security Council authority to designate any important upcoming public event as a National Special Security Event (NSSE). [Journal of Homeland Defense, 10/27/2000; United States Secret Service, 2002] Once an event has been designated as an NSSE, the FBI becomes the lead agency for crisis management, FEMA becomes lead agency for consequence management, and the Secret Service becomes lead agency for designing and implementing security operations. [US Department of Defense, 8/3/2001; US Department of Homeland Security, 7/9/2003; CSO Magazine, 9/2004] Approximately four or five events per year will subsequently be designated as NSSEs, such as the 2000 Republican and Democratic National Conventions, and the 2001 Presidential Inauguration. [US Department of Homeland Security, 7/9/2003; US Department of Homeland Security, 11/8/2004] On 9/11, one or possibly both the cities targeted—Washington and New York—will be less than three weeks from major events that have been designated as NSSEs (see 8:30 a.m. September 11, 2001)(see 8:30 a.m. September 11, 2001). This is particularly interesting considering that once the Secret Service is put in charge of security for an NSSE, it becomes involved in providing air defense over that event. As then Director of the Secret Service Brian Stafford will point out in March 2000: “PDD-62 mandates the Secret Service to create additional capabilities that ‘achieve airspace security’ for designated ‘National Special Security Events (NSSE).’ This air security program utilizes air interdiction teams to detect, identify, and assess any aircraft that violates, or attempts to violate, an established Temporary Flight Restricted Area (TFR) airspace above an NSSE.” [US Congress, 3/30/2000 ; Security Management, 2/2002] Whether the Secret Service will have such capabilities already in place in New York and Washington on 9/11 is unknown. Hamid Mir interviewing Osama bin Laden shortly after 9/11. [Source: Corbis]In early May 1998, Pakistani journalist Hamid Mir interviews bin Laden in Kandahar, Afghanistan. 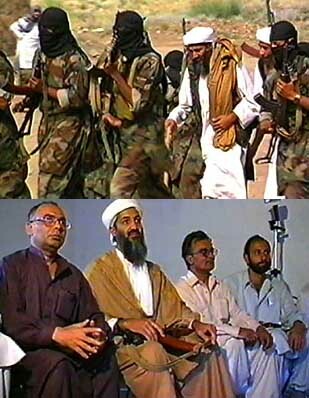 During the interview, bin Laden tells Mir that he will be holding a press conference soon and invites Mir to attend. Mir will later recall that bin Laden showed him a list of journalists invited. More than 22 names are on the list, including CNN reporters Peter Bergen and Peter Arnett, and an unnamed reporter from the BBC. Mir says he will not attend, explaining that he is worried the press conference will be bombed. “I think that you are inviting a lot of Pakistani journalists. No doubt I have contacts with the intelligence guys, but I am not their informer. They will go back; they will help the intelligence agencies to bomb your compound.” [Bergen, 2006, pp. 200-202] The press conference will take place later in the month and while al-Qaeda’s three top leaders bin Laden, Ayman al-Zawahiri, and Mohammed Atef attend, only three journalists show up (see May 26, 1998). Presumably the press conference presents a rare opportunity to take out al-Qaeda’s top leadership in one fell swoop, perhaps as they are coming or going to it, but there is no known debate by US officials or officials in other countries about ways to take advantage of this gathering. The 9/11 Commission’s final report will not mention the press conference at all. 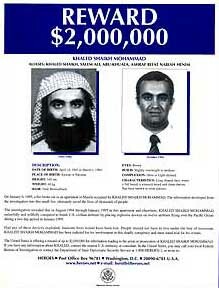 In June 2001, a CIA cable describing background information on bin Laden’s associates will mention that 9/11 mastermind Khalid Shaikh Mohammed (KSM) is regularly traveling to the US. The CIA’s Renditions Branch had been looking for KSM since at least 1997. In July 2001, the source of this information will positively identify KSM’s photo from a line up and clarify that the last known time KSM went to the US was in the summer of 1998 (see June 12, 2001). Presumably, KSM may have been more reluctant to travel to the US after the crackdown on al-Qaeda in the wake of the August 1998 embassy bombings (see 10:35-10:39 a.m., August 7, 1998). [9/11 Commission, 7/24/2004, pp. 277, 533] In May 1995, the FBI learned that KSM had been in the US, had a current and valid US visa, and was planning to come back to the US, possibly to take flying lessons (see April-May 1995). Additionally, KSM will receive a new US visa on July 23, 2001, though it isn’t known if he ever uses it (see July 23, 2001).